Travel Tuesday: Does it pay to plan cruises early? FEATURE — When it comes to travel arrangements, I often wish I had a crystal ball for predicting airfare, cruise rates and weather. While I may not have a crystal ball – and Mother Nature often ignores my requests for nice weather when my clients travel – I do have over eighty years of combined travel experience in my office to draw from. And all of our consultants agree that it pays to plan ahead, especially when it comes to planning an ocean or river cruise. Our emails are flooded with last-minute, jaw-dropping seven-night cruise offers for $399, but have you ever considered why? The best comparison I have is the end of season clearance at the department store. Take my shoes for example: I wear a size five, and that means if I find a shoe that I like in my size, I buy it. While it may not be on sale, I don’t want to take the chance that it might be marked down later or they may still have it in stock a few months later while I think about it. I know what I am looking for. I want a certain size and style, and while I may pay a little more, I get what I want and I can enjoy them. 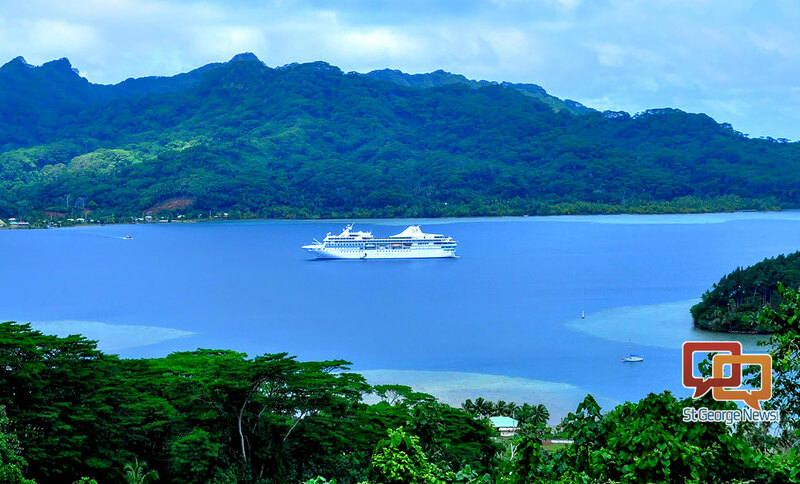 It is the same with cruising: If you are specific about your itinerary, you want a certain cabin and dining time and you must travel on specific dates, then you should reserve early. Most often, rock bottom prices come from cruise lines when they are trying to fill up their ships at the last minute or it is during the off season. People who live in Florida, California, Seattle and various port cities around the country can take advantage of this clearance pricing because they can easily drive to the ports. They do not need to watch airfare, which can cost more than double the cruise price with a last-minute reservation. Not to mention the fact that the staterooms may be in the worst location on the ship, your desired dining time may not be available and triple and quad rooms for families are sold out. I am not saying that there are not times when everything aligns perfectly and you can find a last-minute air/cruise special, but it is not always the “deal” everyone seems to think it is. When it comes to cruising on the rivers, small ships and unique itineraries, planning early is crucial. Small vessels are more popular than ever, and they sell out sometimes 12-18 months prior to sailing. Small ocean and river cruise companies know this and offer their discounts early with 2-for-1 pricing, reduced rates, etc… Again, they may have a last-minute special for one or two rooms, but more commonly, they are sold out. The other reason for families to plan ahead of time is the narrow window of dates when children are out of school. Holidays and school vacations are very popular, and space sells quickly for families during Christmas, Thanksgiving, spring break and summer breaks. Luckily, Utah has a fall break, and great rates are often found during that time. When I encourage customers to plan their cruises so early, I often get the comment that they don’t know what can happen in 18 months and are nervous about making reservations. I always encourage travel insurance — especially when planning so far in advance. The truth is, we never know what can happen. Travel insurance protects deposits and even covers things like pre-existing medical conditions if it is purchased within two weeks of the deposit date. Since October is national Plan a Cruise Vacation Month, it is a good time to consider a river or ocean cruise. I encourage you to look at your options now while the inventory is good and prices are low with incredible incentives. Working with a professional travel consultant can be invaluable when it comes to deciding which option offers the best value for your needs and travel destination. Don’t miss the boat by waiting for that last-minute special. Written by CELECE KRIEGER, owner of The Travel Connection in St. George. Travel is Celece’s passion, and she has worked in the industry for 26 years. She recently married local golf professional Rob Krieger and has two children, ages 25 and 19. She has traveled extensively throughout the United States, Mexico, Caribbean, Europe and the South Pacific. Her favorite vacation is to Tahiti and the Cook Islands, where she travels with clients every year. For travel questions, email celece@stgeorgetravel.com. The Travel Connection | address: 1363 E. 170 South, Suite #202, St. George, Utah | Telephone 435-628-3636 | Email: info@stgeorgetravel.com.